It’s summer, meaning it’s time to throw on your favourite pair of shorts and grab your sunblock. Only problem is that everyone else has the same idea, which means crowded beaches and expensive tourist locations. This year escape from all the popular vacation spots and choose from one of these amazing underrated destinations for a truly unique summer trip. Without further delay and in no particular order here are our picks for 7 most underrated vacation spots. is rich with culture, diverse in colonial history and to top it all has the most stunning views. This beautiful remote island in the middle of the pacific ocean, is the closest to the deepest point on Earth, The Mariana Trench. While there are currently no expedition available for tourists to this trench there are plenty of beautiful dive sites. If you prefer a more relaxed water activity, there is no shortage of beautiful beaches and white sands to spend your days on. 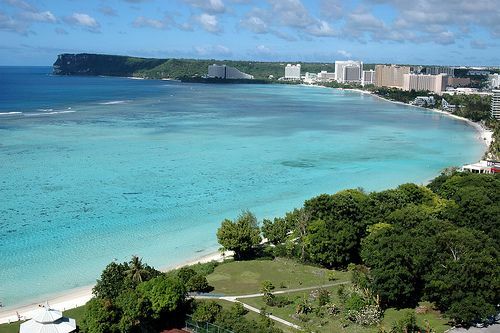 Guam is has so much history and diversity with an interesting mix of people from different parts of Asia, the Pacific Islands and the U.S. Of course this leaves a melting pot of beautiful people, rich culture and delicious food! 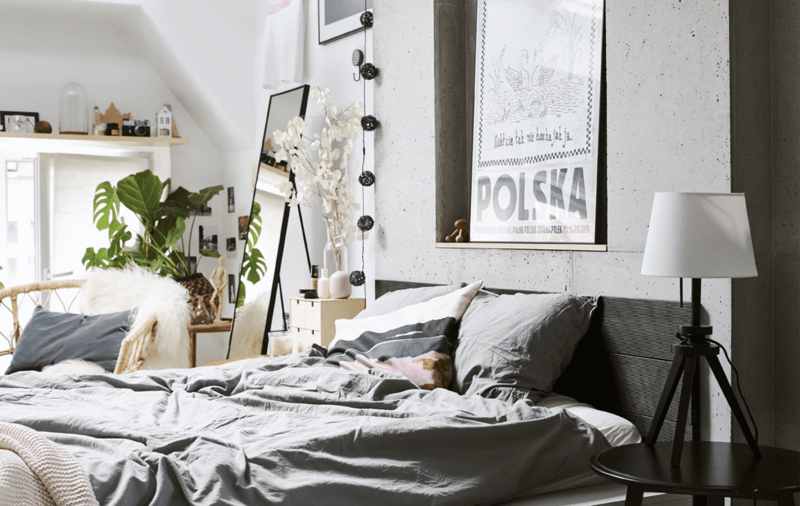 This Eastern European city is an amazing place to visit if you’re into fairy-tale architecture and stunning countrysides, best of all this place is still one of the most affordable cities in Europe. Despite the rest of Poland taking serve hits during WW II, Krakow still has many historical sites to visit. Surrounding the Main Square is centuries-old churches and resturants. Just out of the main square, you are able to take in the beautiful view the Wawel Castle on the hillside. 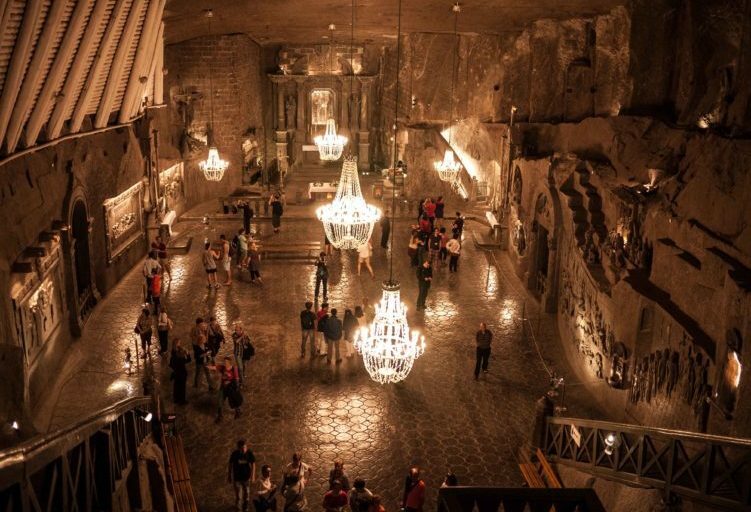 For a truly unique experience The Wieliczka Salt Mine, is where you need to go, it is placed more than 1,000 feet underground. Hundreds of years of excavation has left seven gorgeous chambers carved into the salt rock throughout the floors. Today they host weddings, business meetings, concerts, fashion shows, and galas. Sherwood Point Lighthouse, Door County, Wisconsin. 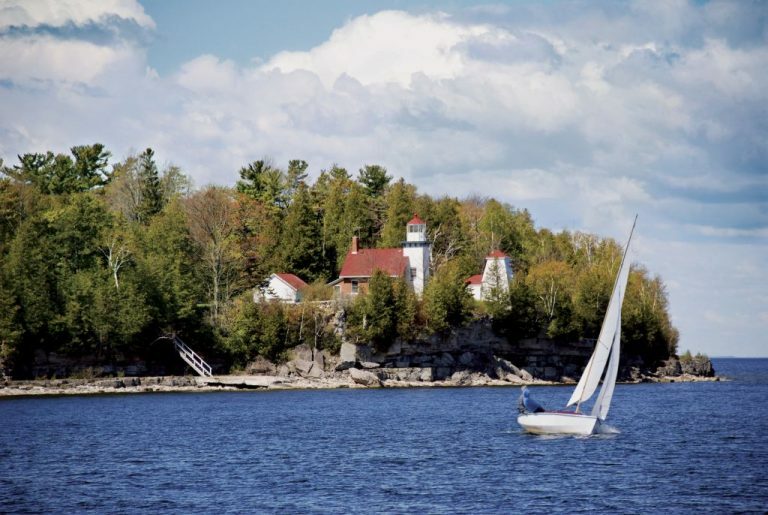 This picturesque small town is located on the northeast of Wisconsin boarded along Lake Michigan. Door County has amazing shorelines to explore and has an amazing up-and-coming artist community. Forget taking home the boring keychain souvenir, at Door County there are plenty of art workshops you can join to make used glass, metal sculpture, mosaics and ceramic pieces. Door County is the state’s leader in cherry production and is home to almost 50 orchards. During the summer you can go to the orchards to pick them and eat them in warm pies. Every August Door County host a Cherry Festival. The quant mid-western town is wholesome and the perfect place to take your family for a short and sweet summer vacation. Oman is quite a unique landscape being surrounded by beautiful red mountains and the clear blue-ocean. In between magnificent mountains, crystal clear waters, and splendid palm trees wadis are another heavenly natural attraction. 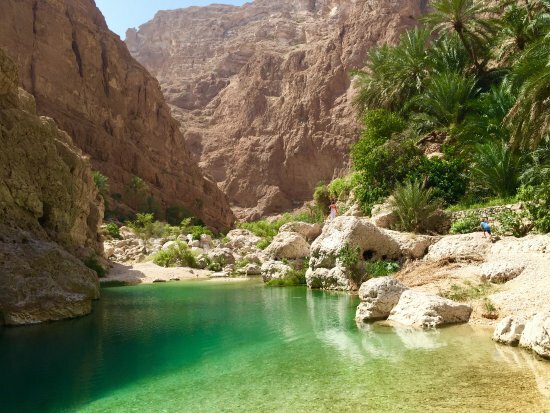 Located in eastern Oman, Wadi Ash Shab, is one of the most spectacular wadis in Oman. It lies on the coastal road of Sur. This wadi is known for its submerged cave with waterfalls, rocky cliffs and turquoise pools. It’s also a great place for hiking, rock-climbing, swimming, and camping. 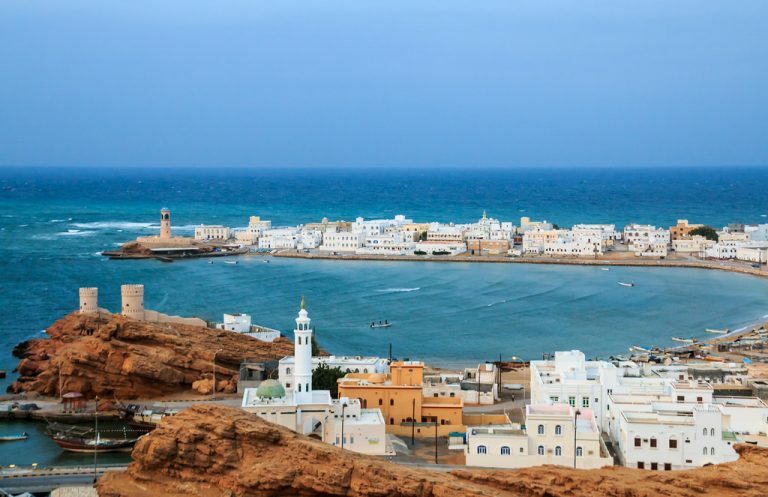 Sur has a long history as one of Oman’s first trading ports. Though now surpassed by Muscat, it is still a thriving town. A glimpse of how it used to be can be seen in old Sur and the small suburb of Aija where is lined with traditional white houses and building. Bolivia, may be South America’s best kept secret. The Salar de Uyuni is one of the most remarkable vistas in all of South America, and is often missed by travellers. Stretching more than 4,050 square miles, it is the world’s largest salt flat, created by prehistoric lakes that have evaporated. 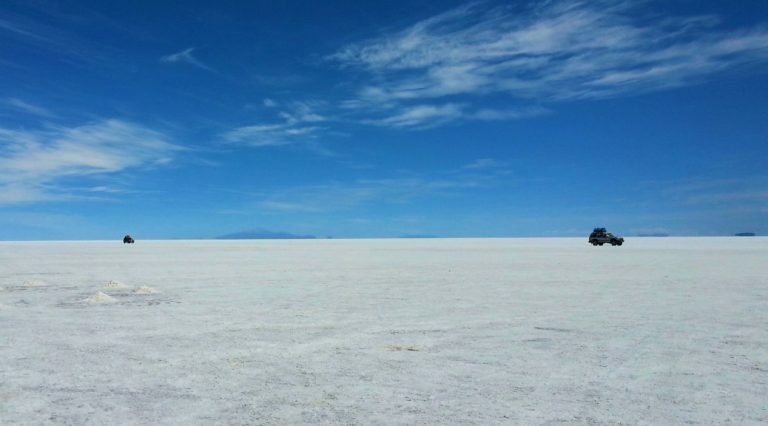 You can book a tour to reach this vast landscape of salt usually involving several days of travel across Bolivia’s scenic southwest corner, a staggeringly beautiful region bursting with mountains, lagoons, and inactive volcanoes. If you end up here, it’s also worth traveling to the nearby Laguna Colorado. 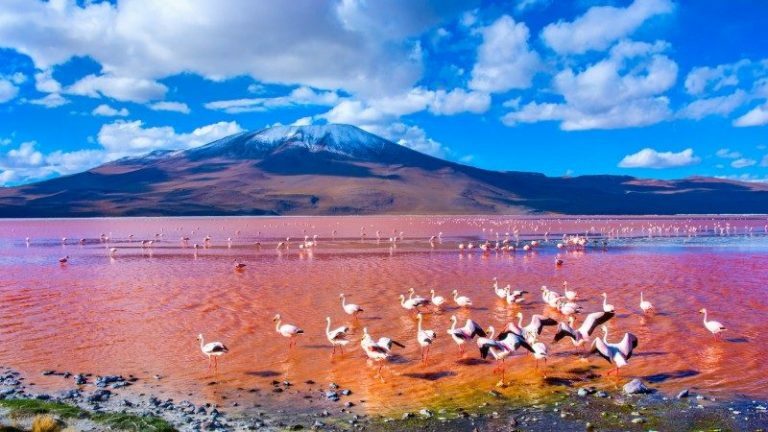 Laguna Colorado is a red-hued lake filled with thousands of pink flamingos, and is truly a site to behold. From its rugged peaks, dramatic valleys and cliffside waterfalls, the Faroe Islands is a country that you won’t believe actually exists until you visit. These group of islands are located in between Iceland and Scotland and have a combined population of 50,000 people. The best way to see these amazing islands is by renting a car and taking your own tour of island. Thanks to relatively new infrastructure, like sub-sea tunnels connecting islands and paved roads cutting through mountains, getting to all of the country’s best attractions. 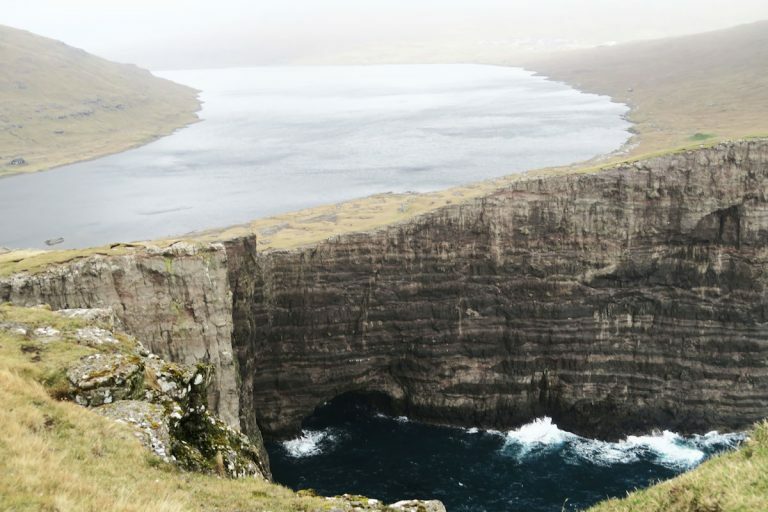 Stop the car and take an hour hike to see the most breathtaking view of Lake Sørvágsvatn. It is situated on the top of a cliff with just inches of land separating it from the ocean. The capital city of the Faroe Islands, Tórshavn. The islands are filled with post-card perfect remote villages with beautiful traditional houses on the coast of cliffs and beaches. 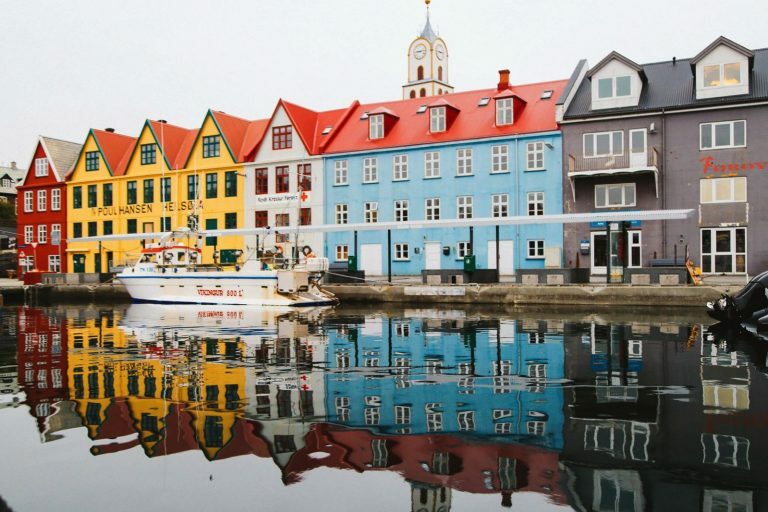 The capital city of Tórshavn is on a harbour, there are a handful of museums, beautiful 18th century churches and rows of bright houses. If you are over the typical summer beaches, take a trip off the beaten track and venture in the wild land of the Congo. The Congo offers luscious jungles, rare wildlife and safe cities. Take an amazing safari adventure through the heart of the Odzala-Kokua National Park. 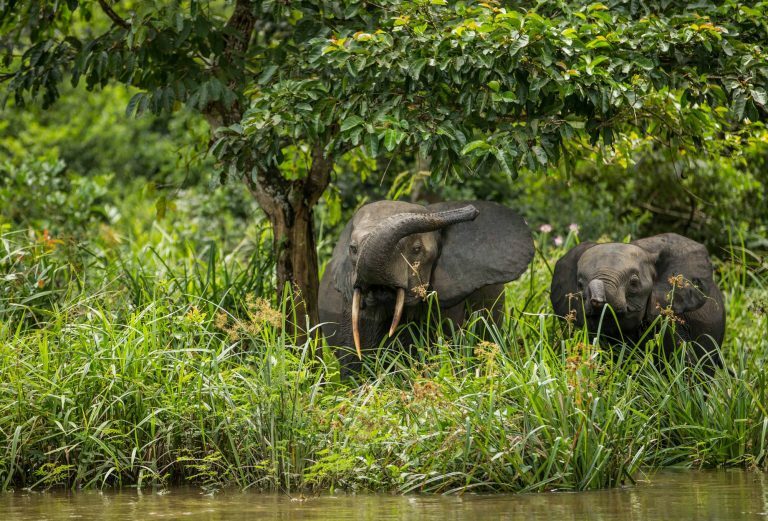 Where you will be able to track alongside endangered Western Lowland Gorillas and playful Forest Elephants. 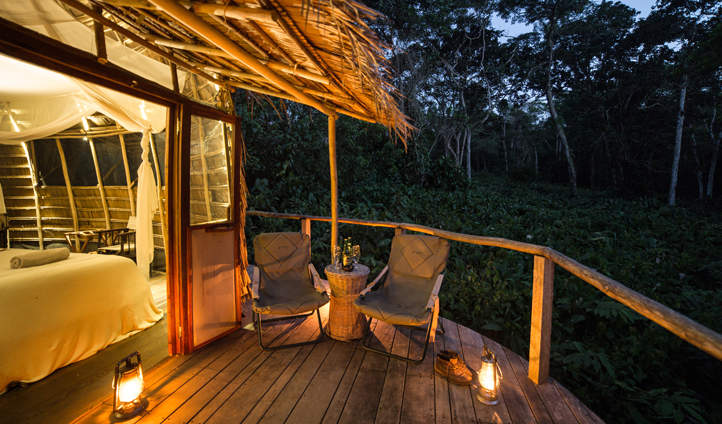 Here you can stay at the Odzala Discovery Camps for stripped back luxury, where you can experience nature closer than ever before. Just on the outskirts of the capital, the Congo River goes wild: Les Rapides are a section of the river dominated by untamed rapids. But at Pont Djoué, you can sit in a bar and enjoy a beautiful view of this natural phenomenon and the surrounding landscape. 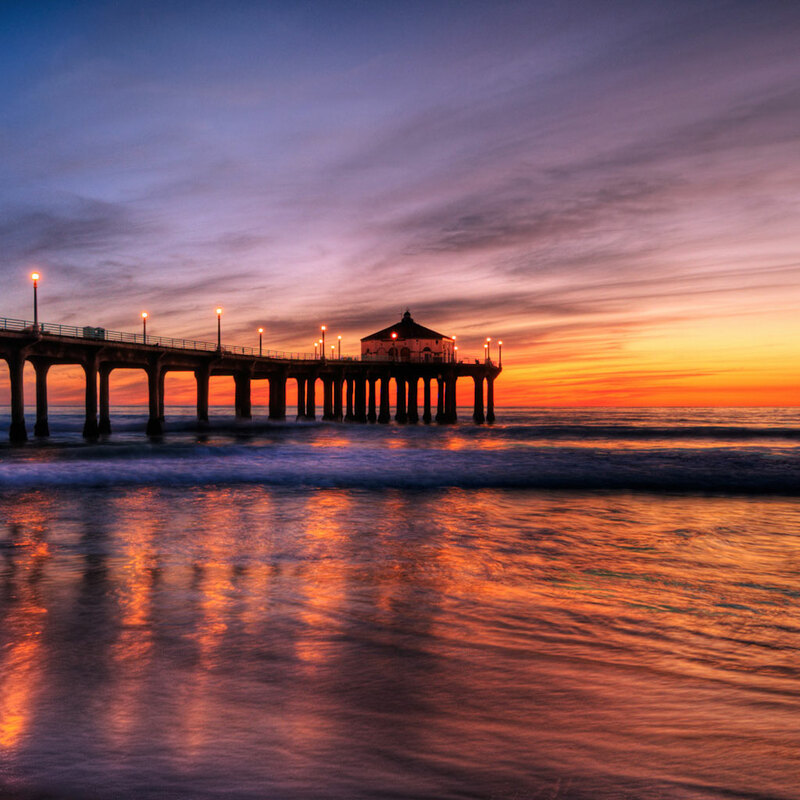 All the beautiful cities on this list are bustling with history, culture and lots of adventure. I can promise you definitely won’t regret any decision. So it’s about time you start booking your tickets and get ready for your truly one of a kind summer experience. 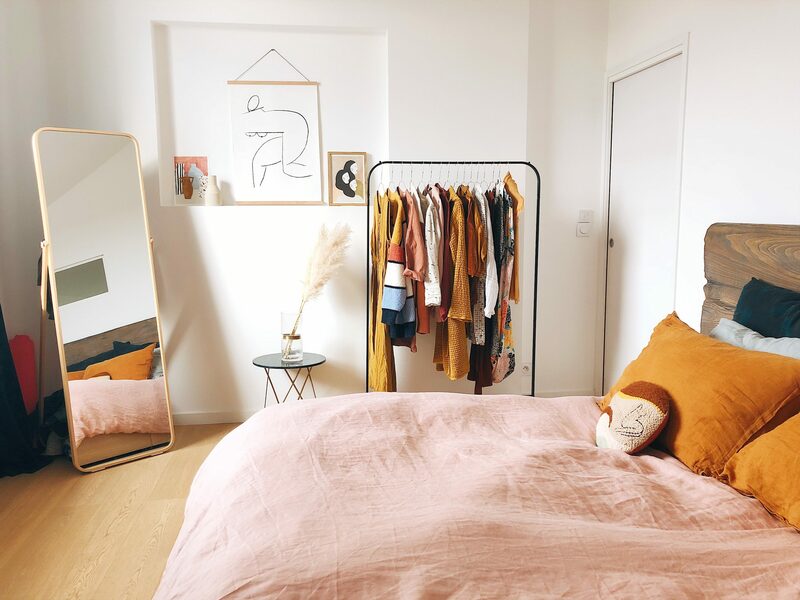 Did we miss anything out? Let me know in the comments below!